Our hardworking Window Cloth gets windows, mirrors, shower doors, glass tables, crystal, granite countertops, jewelry, brushed and stainless steel, chrome, knickknacks, patio tables and shiny surfaces sparkling clean with only water. Need an easy, chemical-free, window cleaning solution? Try the silky, tightly woven microfiber Window Cloth to get your windows, mirrors, jewelry and other shiny surfaces sparkling clean without leaving unsightly streaks or residues using only water. Eliminating the need for harmful chemical cleaners, it works great with our EnviroCloth® and Dusting Mitt to significantly reduce the use of cleaning chemicals in your home! Getting windows clean quickly isn’t easy. In addition, many of today’s popular glass and window cleaners contain harmful chemicals, like butyl cellosolve and ammonia. And using paper towels to clean just adds to the problem of overloaded landfills and deforestation. The Window Cloth gets windows and other glass and shiny surfaces clean and streak-free with just water. No harmful chemicals are left behind to smear or distort light, and no paper towels are needed, which means less landfill waste and less paper dust in your home. To clean glass, lightly mist the surface with water and polish with a dry Window Cloth. For heavily soiled surfaces, first clean with a moist EnviroCloth, then finish with the Window Cloth, wiping in the same direction as the grain. • To clean glass, lightly mist the surface with water and polish with a dry Window Cloth. Slightly dirty microfiber can be washed with Norwex Dishwashing Liquid under warm running water and used again. 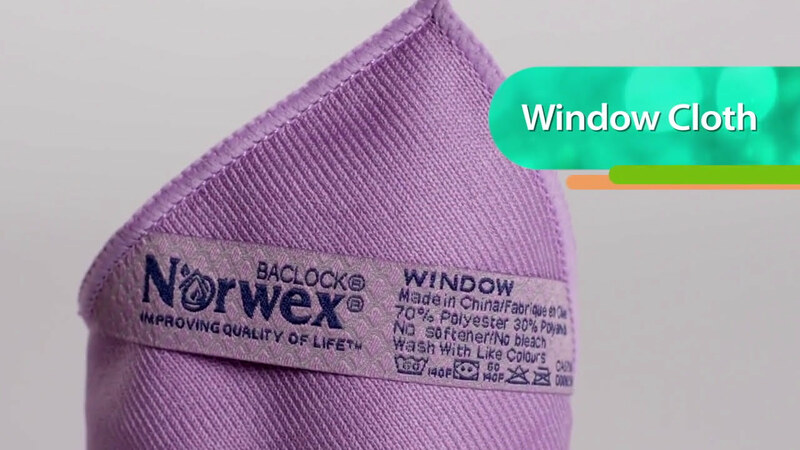 • BacLock®*, our exclusive micro silver agent in the cloth, goes to work with self-purification properties against mold, fungi and bacterial odor within 24 hours so that it is ready to use again. Butyl cellosolve is a chemical commonly found in glass cleaners. 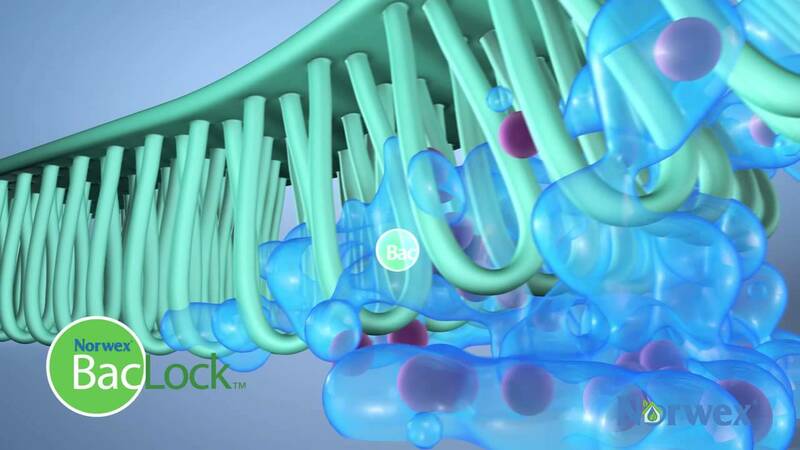 Readily absorbed through the skin, overexposure can irritate mucous membranes and may cause liver and kidney damage. According to the Environmental Working Group, there is strong evidence that ammonia is a human immune and respiratory toxicant or allergen.